A month in, and I still feel a bit displaced. I’m considering starting a new blog, kind of hiding it away in the interwebs amongst the thousands of other blogs where people vent and brood… Only because even I’m starting to bum myself out! My hobbies have been something of a lifesaver as of late. I’ve been kind of in a crafting overdrive- mostly because I feel like I need to keep busy so I don’t feel so alone. I miss my cat and my family D: . I redressed Remy. She’s wearing a plastic fashion dress, and shoes, socks, headband, and necklace from a Daiso Ely chan fashion pack (so worth the $1.50 and tax). These shoes fit Remy really well, so I’m definitely going to pick up some more. 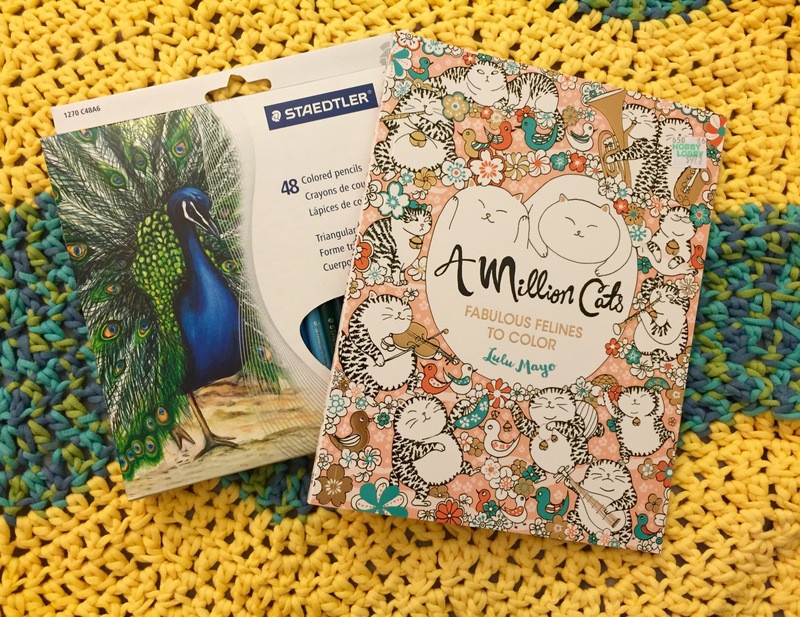 I also picked up a coloring book, color pencils, and cotton yarn (crocheted into a blanket). I really shouldn’t be spending money, but I tend to fall victim to retail therapy. I actually kind of fell of the wagon, and made a big purchase (nooOoooOo). … Yup. I have a new girl. XD I’m actually having Marina and Finley shipped to me next week. I’m hoping my room will be more homey, and less lonely with my Blythes hanging out. 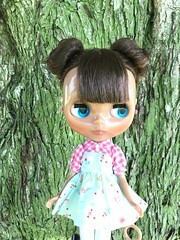 I also decided to adopt a second hand Blythe from a Facebook group. I have big plans for this girl! And she’s to be my gift to myself – for hanging in there, for doing the best I can, and her sunny hair makes me happy. Not my photo (from blythedoll.com). Hopefully, I’ll start posting more often. I can safely say that I’ve done 1.5 of the above. So, I spent today and yesterday in a zoned-out stupor, trying to relax. Trying, and only semi-succeeding. I have to block it, but I’m so pleased with how it came out!! I love how speckled the hand-dyed yarn is. I really can’t wait until it gets cooler for me to start wearing this. I wouldn’t say that this project flew off my needles, as I think it took me about a month (I’m so slow at knitting). I think my next project will be a pair of socks… Or maybe a dolly thing. Doll things knit up way faster, and I’m kind of over time-consuming projects for now. I also finally redressed Prisma. She is my one girl that looks really good in black and white. For good measure, I also put these large black frames on her (to match all those bespectacled cats). When I’m settled into my new digs, I’ll be sure to post an update :D.
I tried to bring as much of my home with me, but only managed to bring two dolls – Prisma and Remi. 😦 Marina and Finley couldn’t make the trip this time around, but once I’m settled (and no longer technically homeless), I will most likely have them shipped to me. 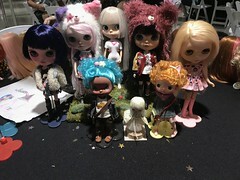 I think another comforting thing about my dolls and this hobby is that I can always depend on my girls to never change. They’re sort of a constant in my every day life. I started to feel a big overwhelmed yesterday night, so I decided to just redress Remington for fun. Remington is wearing a sweater I knitted, a minijijo tutu, and her stock shoes (which, fun fact, have magnets on the bottom!). I intend to redress Prisma tonight… And maybe hopefully take these two girls out for some photos. Back to work 😦 . 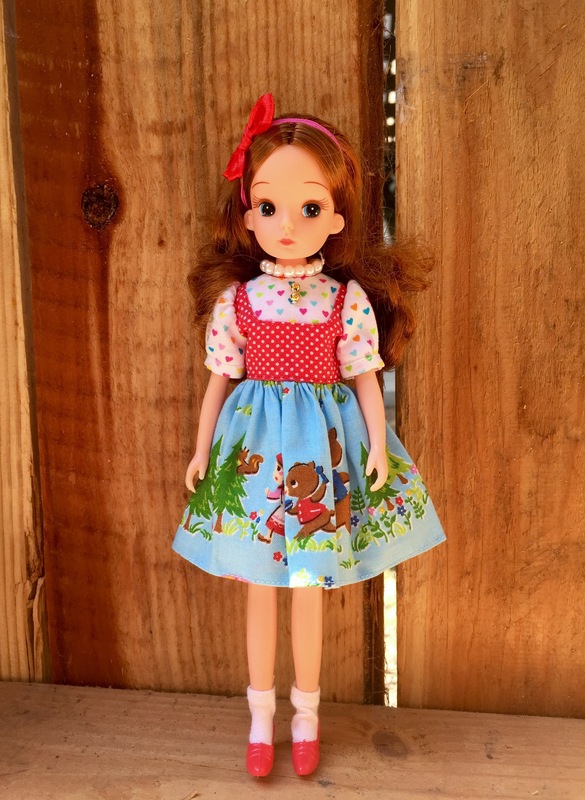 I decided to dive into my Blythe wardrobe to redress my (still nameless!) 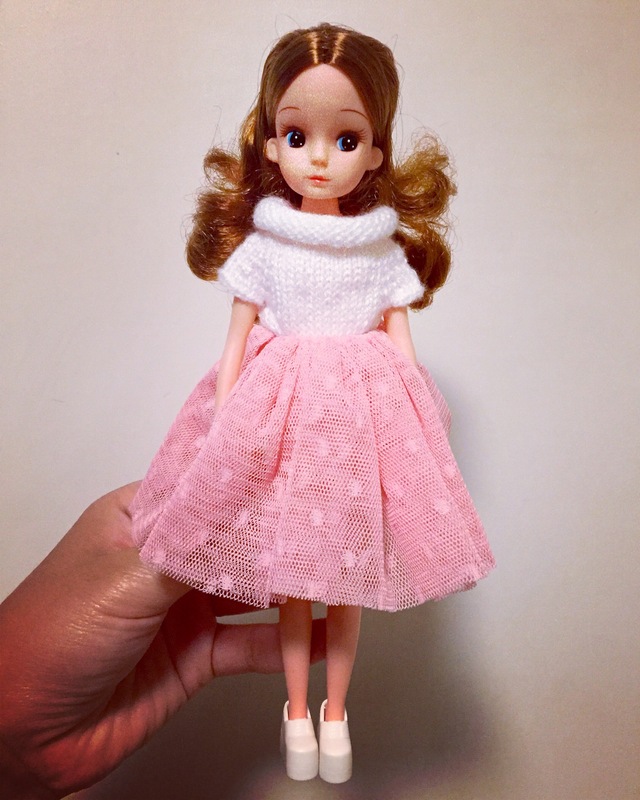 Licca chan. I’m still doing some trial and error to see what fits and what is too big. 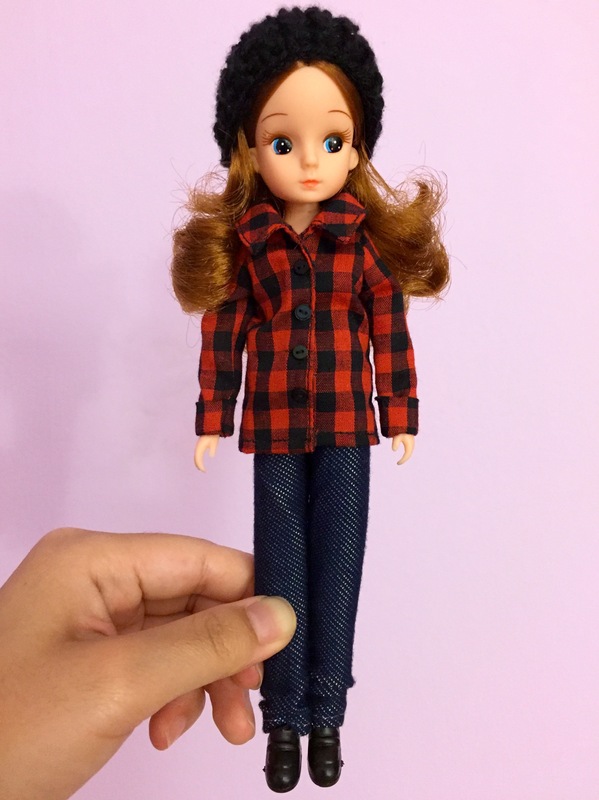 I thought her flannel shirt and jeans were not complete without a beanie, so I attempted to crochet one! This is the smallest hat I’ve ever made, and it’s still a bit too bulky. I might try knitting a beanie instead, but I’m slightly intimidated by knitting in the round for something that tiny. What I really want now is some large black frame glasses for her! 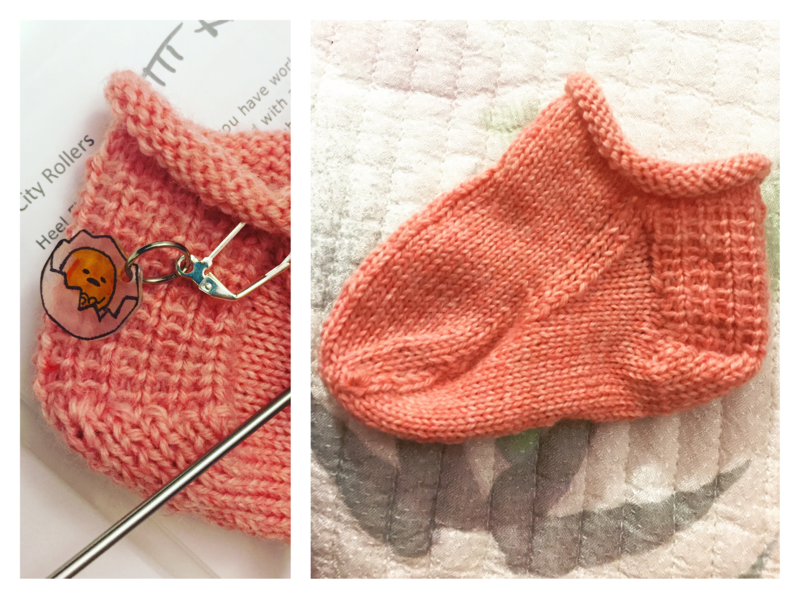 I’m also currently working on a pair of tiny baby socks! They’re the Rose City Rollers sock pattern by Orange Knits. I’ve started the second sock, but dang, do I really not want to XD. I guess after the first sock, the pattern becomes really monotonous. I’m really excited to see these socks on my baby cousin’s wee feet ^^. 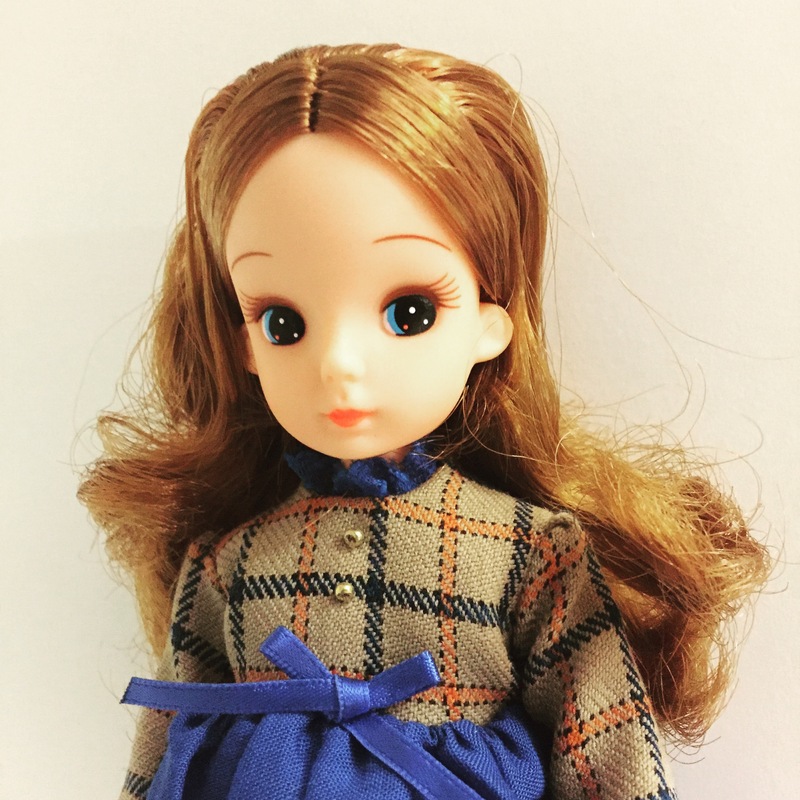 I’m really looking forward to the long weekend, kind of just to catch up on things I’ve been meaning to do… Like declutter some more dolly clothes, finish some of my WiPs… catch up on some sleep. One more thing! I’m having a sale at my etsy store for 20% off with code SUMMERSALE. 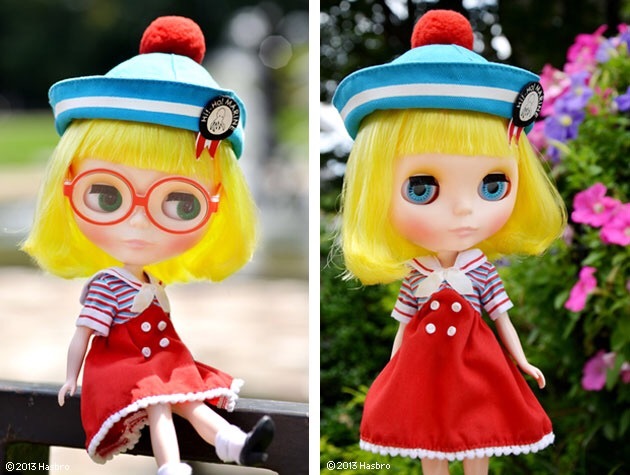 I had mentioned I purchased a reproduction 2nd Generation Licca chan on eBay in my last post. I really want a 1st generation reproduction, but I stumbled on such a good deal for a NRFB 2nd generation repro, that I couldn’t pass her up. 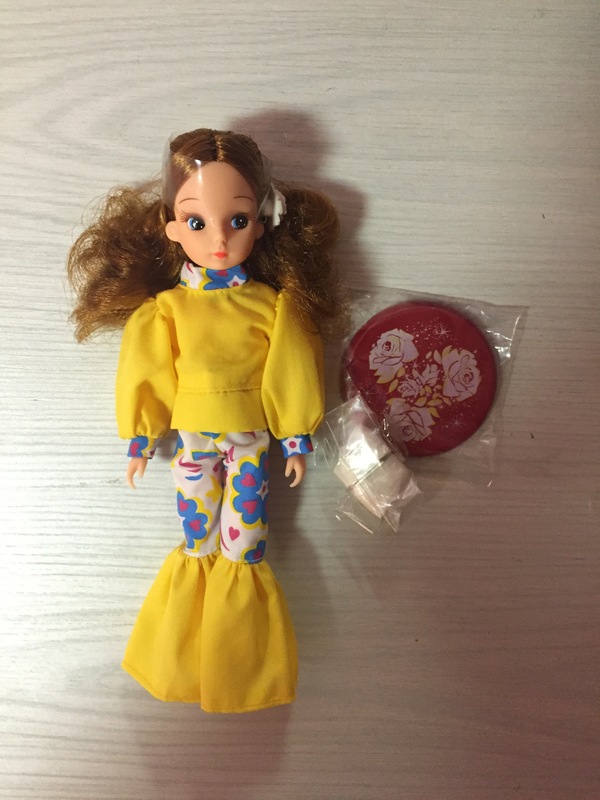 There’s nothing quite like unboxing a new doll! It’s exciting and it feels special ^^. 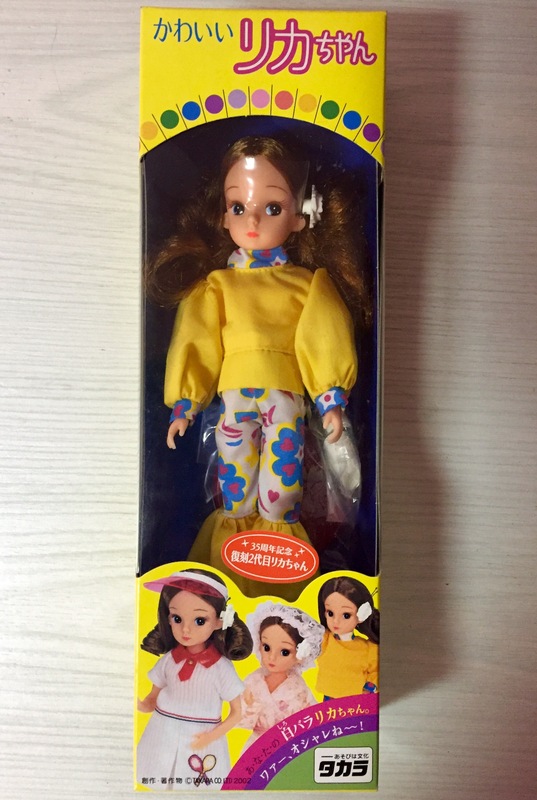 The doll came in this really funky outfit… I’m not sure how in-style this outfit was in the 70s, but to me it looks like a funky dance costume. Much better :3 . 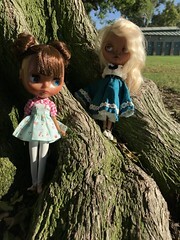 Licca chan is wearing a Sleepforever dress and (way too big for her) Qmagicdoll shoes. I love her pretty chestnut brown hair, her coral lips, and how petite she is!